When it comes to national holidays, fewer are more revered and patriotic than Memorial Day. It affords us all a moment to remember those who have died in combat protecting our liberty, just like Veteran's Day offers us an opportunity to recognize our living war heroes. For many Americans, it also means a day off school or work, which leads to the natural question of how to spend it, but like many other holidays it seems to be more expensive each year the more commercial it becomes. Memorial Day isn't supposed to be about spending, but you can make it more about saving this year. Retailers know it's a good time to sell-sell-sell before the summer rush, but not all deals are created equal; some are just made to tempt you to run to Lowe's and buy summer supplies, when it's cheaper to buy mid-summer or out of season. Last year, Victoria's Secret offered up to 50% off on hundreds of swim suits the following month. Patience is the name of the game, so avoid sales on summer items like patio furniture, lawnmowers, and tools this year. Memorial Day sales on mattresses and large appliances like washers and dryers offer these big-ticket items at their lowest prices, but don't fret it you don't have enough stowed away this year. Instead of spending a lot this year with a credit card, why not save for the next sale to come along? You can also always go online and find a "title loan near me" to get the extra cash you need to take advantage of a deal that is just too good to pass up. Americans are traveling and spending more than ever each Memorial Day. It might be nice to get away from home for a three-day weekend, but AAA forecasts that about 39.3 million travelers hit the road last Memorial Day, an increase of about 1 million from the previous year. With this trend comes a rise in gas prices and traffic around these dates, which is bad new to the 34 million or so Americans who will be driving to their holiday destinations this year. So how do you make the most of your Memorial Day Vacay? By staying put. 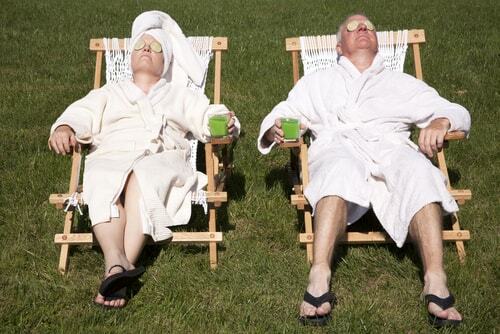 Stay-cations are an increasingly popular and fun alternative to over-spending and sitting in gridlock traffic. You can maximize your time off this Memorial Day by getting some friends and family together for a barbeque. You can also host it as a BYOBBQ, and invite your guests to bring something tasty to throw on the grill. Most news outlets will also air the wreath-laying ceremony at the Tomb of the Unknown Soldier, followed by an observance program hosted by the Department of Defense at Arlington National Cemetery at about 11 am EST. This is a great, albeit solemn, way to participate in this time-honored tradition and join in a moment of thanks for these soldiers. Memorial Day began as a way to recognize the fallen and heal the wounds of the Civil War, where great casualties were incurred by both sides. But a 2000 Gallup poll revealed that only 28% of Americans really knew why we celebrate Memorial Day. In response, Congress instituted the National Moment of Remembrance at 3:00 pm for Americans all over the country to take a moment to honor the fallen. Each year at that moment, about half a million baseball fans observe this moment of silence, while 200 Amtrak trains blast their whistles and organizations all over the U.S. pay their respects. It's a nice moment for you and your family to observe with your fellow Americans, even if you don't personally know anyone who has died in service. PBS televises a National Memorial Day concert of patriotic music on Sunday night before the holiday to kick off the observation. If you have an American flag in front of your home, raising the flag and lowering it to half-mast until noon is a meaningful and reflective way to honor our soldiers. 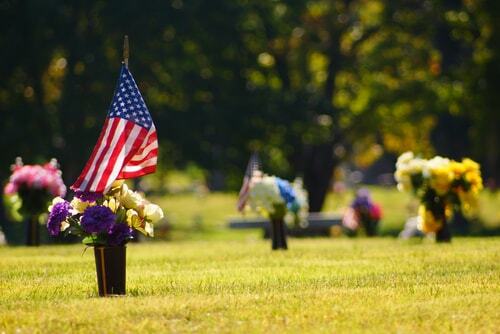 Laying flowers at the gravesite of a fallen hero is also a tradition that reflects the spirit of the holiday - after all, it was formerly known as "Decoration Day", as citizens would "decorate" the gravesites of soldiers with flags and flowers. These ideas might be a bit somber for younger kids, but they send the right message to those who think it's just a day off school, and set a good example for them to follow as they learn to be more conscientious citizens. You might find yourself tempted to shop and travel this Memorial Day, but try to make it a time to remember the reason we have the day off to begin with. One of the best things about Memorial Day is how it can unite citizens of different faiths and backgrounds under one flag, and that's what America and being an American is all about.